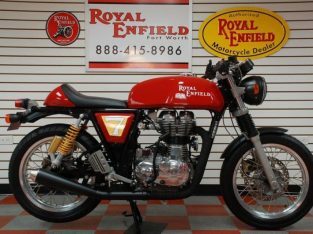 937-249-3183 Visit eBay Store ✕BACK NEXT BACK NEXT BACK NEXT BACK NEXT BACK NEXT BACK NEXT Image 1/6 Image 2/6 Image 3/6 Image 4/6 Image 5/6 Image 6/6 See Full Size Photos View Full Size Images 2017 Royal Enfield Continental GT Stock #: 171949 Exterior Color: Black Fuel Type: Gasoline Engine: 535 Title Condition: Clear Vehicle Description Brand new 2017 ROYAL ENFIELD CONTINENTAL GT – EFI – Comes with 2 year Unlimited Mileage Warranty. 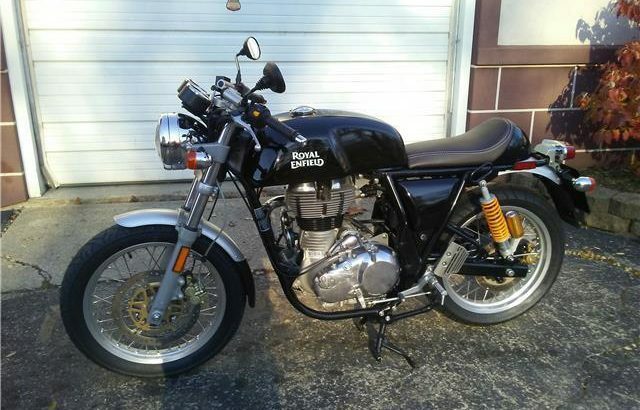 Fuel injected, electric and kickstart. 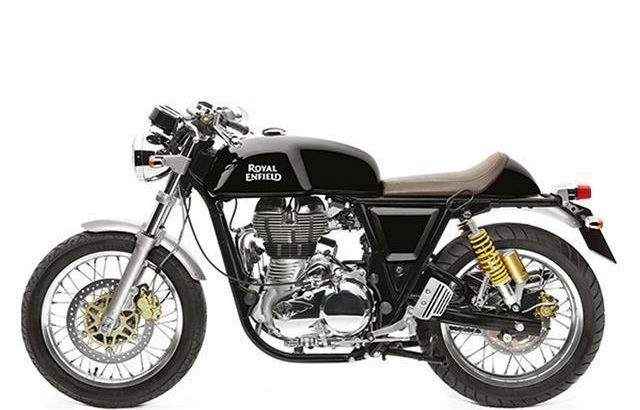 Cafe Racer by Royal Enfield. 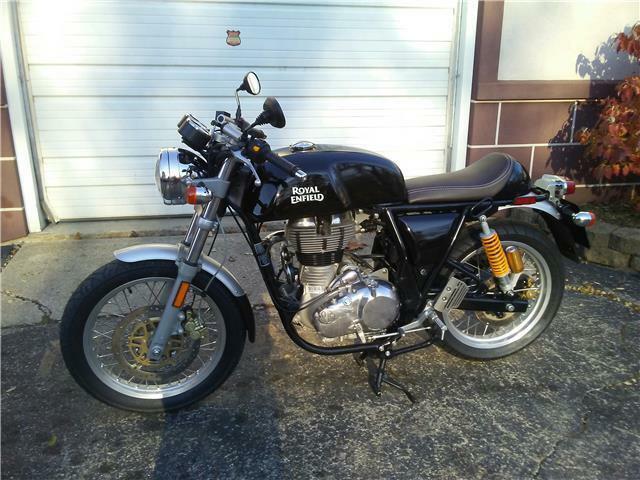 Brembo brakes, Avon tires, factory rearset controls, clip on style bars. Ride this to your local “bike night” and watch everyone walk right by those $20K Harleys to see your new Enfield Cafe bike. 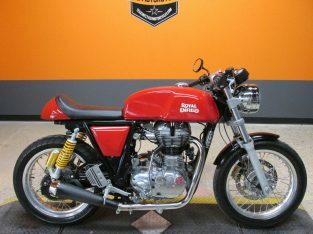 The Royal Enfield Continental GT is the lightest, fastest, most powerful Royal Enfield in production…. 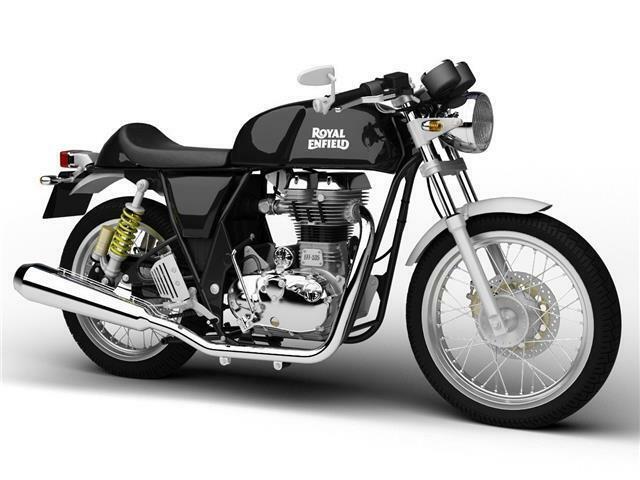 It’s a machine with a story, a nod to motorcycling’s finest hour; a painstaking collaboration. 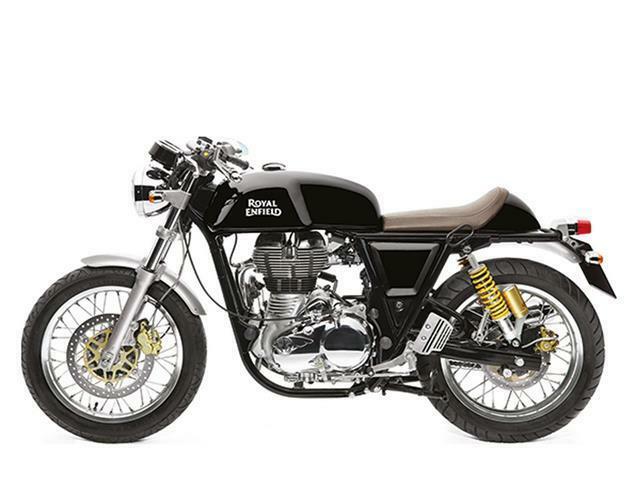 It is also the best expression yet of a cultural phenomenon that has simply refused to fade away – the café racer. Tail Lamp	12V 21W/5W Contact us now at 937-249-3183 for more details! Contact us for more details: 937-249-3183 Call Dealer Photos Vehicle Warranty New Vehicles come with a full-factory warranty. Used vehicles may have a remaining-factory warranty, but please contact us for the warranty details specific to this vehicle. 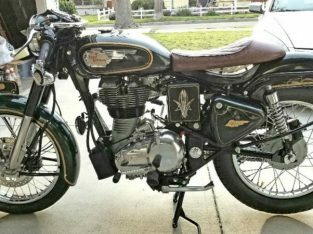 About Williams Vintage Cycle Welcome to Williams Vintage Cycle, where the variety of classic bikes and modern cruiser motorcycles is second to none. In all of Southwest Ohio there isn't a friendlier or more knowledgeable staff than ours. 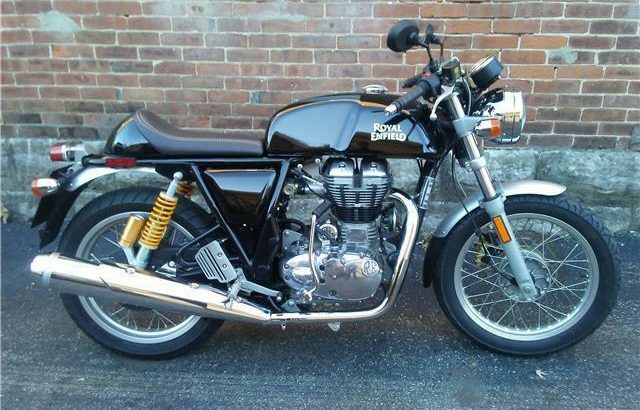 We're happy to help you find either the perfect motorcycle or cycle parts you've been looking for. 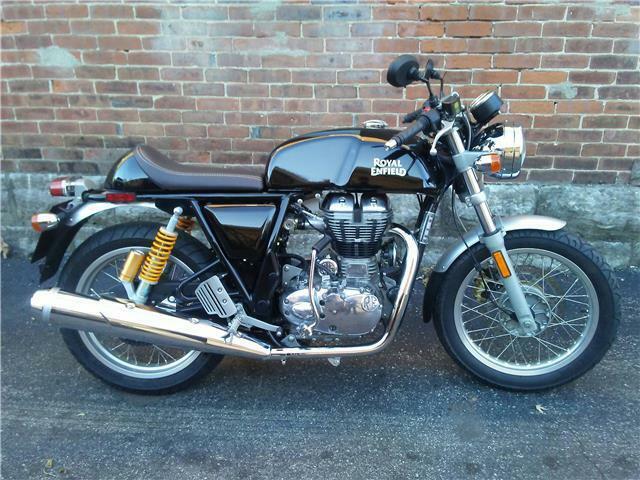 Check out our Bikes for Sale to see our current list of what we have available. If you need help in making your selection, call or stop in – we're always ready to help! 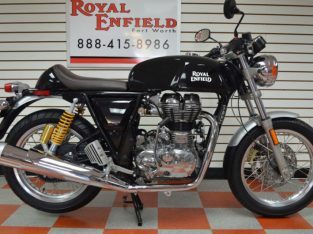 Williams Vintage Cycle is Southwest Ohio's home of the Royal Enfield line of new motorcycles, including the Bullet, the Classic, and the Continental GT. We are conveniently located in Xenia, OH, less than a mile from State Route 35. We are a family-owned and operated small business since 2007. 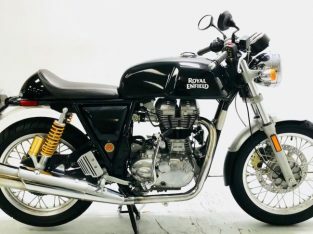 Williams Vintage Cycle can provide you with the best of both worlds…classic motorcycles from Japan, USA, Britain, & Europe, along with modern Harley-Davidson's and Metric Cruisers such as Honda, Kawasaki, Suzuki, Yamaha, Triumph, Royal Enfield, BSA, Ducati, BMW, and more. 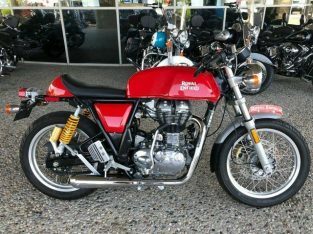 We are a franchised dealer for Royal Enfield North America. We offer competitive financing rates with low payments through several great local and national banks and finance companies. We would work hard to get you approved. 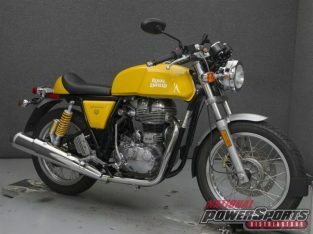 Royal Enfield motorcycles have 500cc engines in the Bullet and Classic models, and 535cc in the Continental GT models. 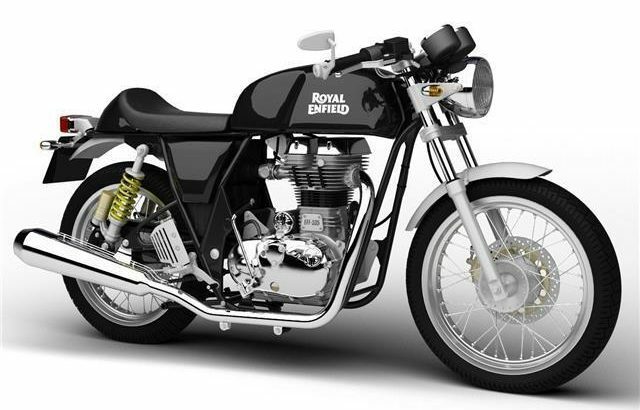 All Royal Enfields are fuel-injected, electronic ignition, with electric start and kickstart. They also come with a full 2 year, unlimited mileage warranty. 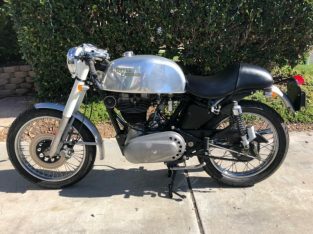 Combine this wide array of selections with our friendly and knowledgeable staff, and we're convinced Williams Vintage Cycle will become your "one stop shop" for all your motorcycle needs. We know individuality is important, which is why we pay close attention to the interests of each customer. From the minute you walk through the door, meeting your needs is our top priority. Founded not only on excellent customer service, but also on the principles of hard work and a focused attitude. Our prices are always lower than the other local dealers like Competition Accessories, Ride One 1 Powersports, Mid-Ohio Harley Davidson, Buckeye Harley, Buckminns D&D, Vista Kawasaki, Clinton County Motorsports, Honda of Troy, Motorsports of Dayton, Sporty's Trikes and bikes, Heindl Engineering, Joe's Cycle Shop, and Walker Toyota Powersports. Williams Vintage Cycle has a long list of satisfied customers all over Southwest OH. 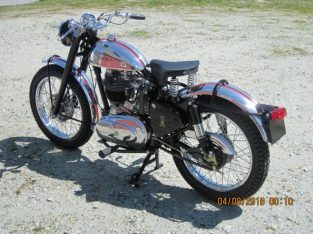 Our vintage cycles have been shipped all over the USA and the world, to many satisfied customers. Vehicle Pickup & Shipping All shipping charges are buyer’s responsibility. General Terms Notice to Bidders: All of the vehicles we list on eBay are for sale locally. We reserve the right to end an auction early. All vehicles are immediately ready for delivery upon sale. Deposit: We require a non-refundable $250 deposit within 48 hours of winning the auction. Please call to make arrangements for payment. Payment Types: Cash in person, Certified Funds (cashiers check), Institutional Financing, Wire Transfer ($35 wire fee) All sales transactions must be completed within 7 calendar days of auction close. Prices subject to change without notice and do not include Title, License, Registration Fees, State or Local Taxes or Processing Fees, if any. 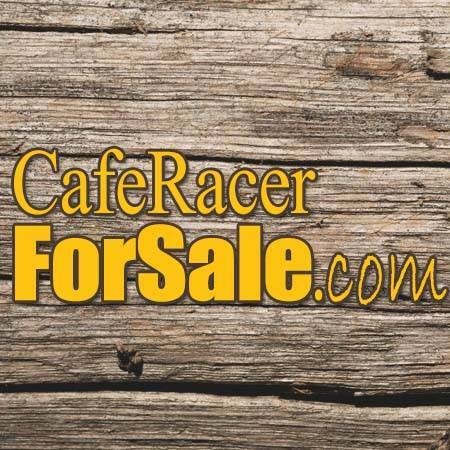 Please contact seller first for vehicle availability. Although every effort is made to present accurate and reliable information, use of this information is voluntary, and should only be deemed reliable after an independent review of its accuracy, completeness, and timeliness. It is the sole responsibility of the customer to verify the existence of options, accessories and the vehicle condition before time of sale. Any and all differences must be addressed prior to time of sale. No expressed or implied warranties, including the availability or condition of the equipment listed is made. EPA mileage estimates for comparison purposes only. Actual mileage may vary depending on driving conditions, driving habits, and vehicle maintenance. Fees and Taxes Sales tax, title, license fee, registration fee, dealer documentary fee, any freight/shipping fee, and any finance charges are additional to the advertised price. Vehicle is listed locally, we reserve the right to end the auction at any time.